The Dolce & Gabbana Sartoria store with an atelier is located in Milan’s Corso Venezia 13..The store’s 16th-century neo-classical palazzo, features a regal setting that adds on to the grace of the building. 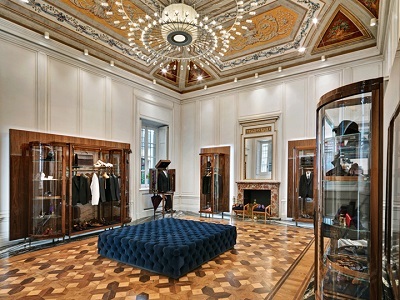 The store showcases an exclusive men’s collection. The atelier opens onto a typical Milanese courtyard that was once the home of several artisan shops and which now is embellished with a genuine sicilian garden. 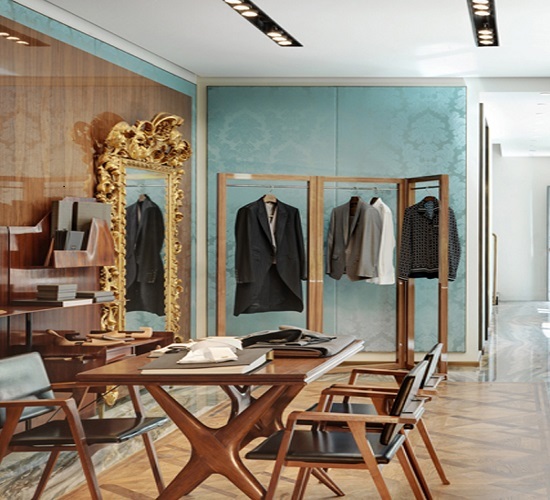 Divided into various rooms, meticulous attention has been given to the design and decoration. 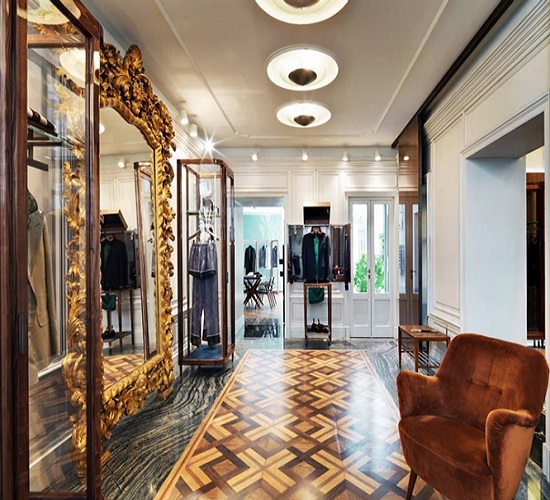 Floors are an alternation of no less than five different types of marble with parquet floors in typical 19th-century fashion and various design pieces chosen for their uniqueness furnish each room. Highlights are the one-of-a-kind bookcase by giò ponti, originally designed for a hotel in st.-tropez, a table by Ignazio Gardella, and a majestic Palmengrten chandelier with 140 light bulbs arranged in a radical pattern reminiscent of the palms in the outdoor garden. 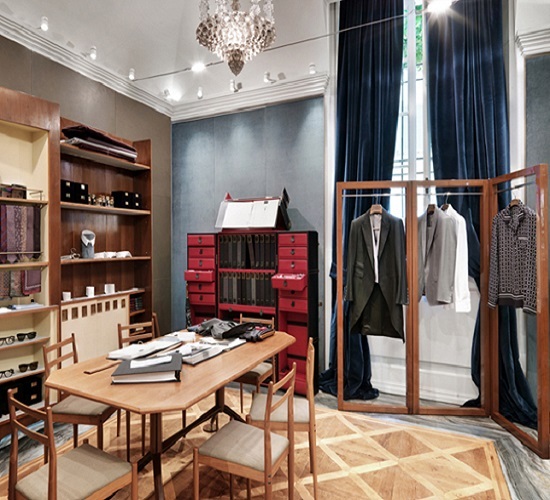 Dolce & Gabbana’s new atelier is home to talented expert tailors who work in these rooms and are more than able to meet the requirements of the discerning male customer.